Eight Emory nurses will be inducted as 2018 Fellows of the American Academy of Nursing. The Academy is composed of more than 2,000 of the nation's most accomplished nurse leaders in education, management, practice, policy and research, and selection for fellowship is one of the highest professional honors in the field of nursing. "Having this many Emory nurses inducted in one year is simply tremendous," says Linda McCauley, PhD, RN, FAAN, dean of Emory's Nell Hodgson Woodruff School of Nursing. "As leaders in nursing education, practice and transformative research, these honorees personify our mission of visionary nurse leadership at Emory." Emory is home to one of the largest concentrations of AAN fellows in the U.S. with 40 nurses leaders holding this prestigious designation including: Deborah Bruner, Sharron Close, Elizabeth Corwin, Jo Ann Dalton (Emeritus), Colleen DiIorio (Emeritus), Dorothy Doughty (Emeritus), Elizabeth Downes, Sandra Dunbar, Rowena Elliott, Dian Evans, Anne Fitzpatrick, Rebecca Gary, Mary Gullatte (Emory Healthcare), Jill Hamilton, Marcia Holstad, Bonnie Jennings, Dorothy Jordan, Maureen Kelley (Emeritus), Laura Kimble, Kristy Martyn, Linda McCauley, Lisa Muirhead, Joyce Murray (Emeritus), Sharon Pappas (Emory Healthcare), Melissa Pinto, Tim Porter-O'Grady, Ann Rogers, Suzanne Staebler, Mary Still (Emory Healthcare), Susan Shapiro (Emeritus), Lynn Sibley (Emeritus), Roy Simpson, Mi-Kyung Song, Ora Strickland (Emeritus), Lisa Thompson, Judith Wold, Kathryn Wood, Kate Yeager, Sharon Vanairsdale (Emory Healthcare) and Canhua Xiao. Evans has advanced the role of the emergency nurse practitioner specialty through research, practice and education for three decades. 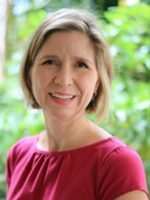 She leads the Emergency Nurse Practitioner Program within the Emory School of Nursing and is also a leader in the emergency nurse practitioner profession. 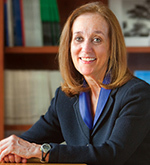 Evans’ work has contributed to establishment of ENP board certification programs, development of ENP practice and curricular standards, and to creation of emergency special interest groups within the National Organization of Nurse Practitioner Faculties and the American Association of Nurse Practitioners. Her sustained leadership in advancing the ENP specialty through presentations, publications and advocacy has impacted ENP education and policy nationally and internationally. Fitzpatrick is a pioneer in the field of personalized treatment for pediatric asthma. Her research has established that pediatric asthma is more heterogeneous than previously thought, leading to varied responses to one-size-fits-all treatment. She advocates for pediatric asthma patients and for a new model of diagnosis and treatment through roles in national and international organizations. Her work on biomarker identification is leading to new and more effective ways to manage treatment-resistant pediatric asthma, which can improve healthcare outcomes and decrease healthcare costs. Her commitment to decreasing the burden of chronic asthma can be showcased by national service and through multi-center, inter-professional collaborations including the NIH/NHLBI Severe Asthma Research Program. 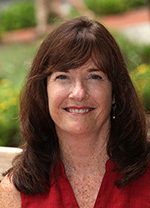 Davis has more than 20 years of experience as a pediatric nurse, nurse practitioner, and researcher. 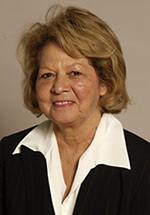 At the University of Hawaii, she is committed to developing collaborative relationships between universities, healthcare systems, and government agencies to implement strategic responses to community and nursing workforce needs while engaging community organizations to inform program offerings and curricula. She is skilled and passionate about leading interprofessional teams to implement research and evidence to inform clinical practice at the bedside and in the community to improve health outcomes and quality of care. Davis earned a PhD in nursing and master’s degree in nursing from Emory University. She is a Fellow of the National Association of Pediatric Nurse Practitioners. Haynes founded Haiti’s only orphanage for medically fragile children in northern Haiti and created and direct a non-governmental organization providing clinical care to 7,000 Haitian children and adults each year. She engages nursing students and other healthcare providers from around the U.S. to collaborate with Haitian peers and provide care in her NGO’s quarterly health clinics. This experience deepens American healthcare providers’ understanding of global healthcare issues, clarifies their own values and professional goals, and enhances their ability to work in a multicultural setting. Currently, 10 of the children from the orphanage are in pursuit of their educational goals at the university level. She has served the nursing profession by creating a culturally respectful and ultimately useful way for nursing students around the United States to experience the needs and opportunities in developing countries. McCabe leads international efforts to study and improve medical and psychosocial care for adult cancer survivors. McCabe also serves on Emory’s School of Nursing Dean’s Advisory Board providing financial and intellectual resources and strategic council to the dean. She is particularly noted as the clinical director of the largest survivorship center in the U.S., and for her research on NP-led survivorship models of care, including disparities and barriers to access. That research has set new standards for best practice, protocols, and policies related to this new field of cancer survivorship. As a nurse ethicist and champion for the ethical conduct of cancer research, McCabe led an ongoing effort at the National Cancer Institute (NCI) to improve the informed consent process for participants in clinical trials. These improvements are now routinely used in National Cancer Institute-sponsored studies and are being implemented around the globe. Her leadership roles at the NCI also paved the way for positive changes in expanding clinical trials endpoints to include quality of life and economics. 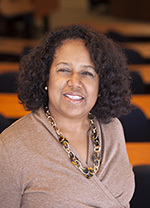 McCabe also serves on Emory University’s Nell Hodgson Woodruff School of Nursing Dean’s Advisory Board providing financial and intellectual resources and strategic council. Muirhead has worked toward advancing the health of vulnerable populations, including those experiencing homelessness, serious mental illness and veterans. 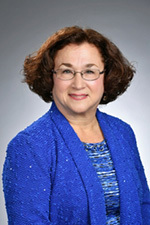 Muirhead secured nearly $8 million in grants and other funding to establish a public health nursing model of care for individuals experiencing serious mental illness, and educational programs to prepare nurses to lead and deliver high-quality care to veterans across all health care settings. She served as principal investigator for a $4 million Veterans Affairs Nursing Academic Partnership (VANAP) award and co-investigator for the $2.9 million VANAP for Graduate Education award. These programs prepare nurses including advanced practice nurses in veteran–centric care through structured curriculum and residency. She also contributed to CDC’s Cancer Prevention workgroup in advancing the national agenda to reduce mortality and morbidity among adults. Still has developed new sepsis protocols that significantly decreased mortality rates and average length of hospital stays. She expanded bedside nurse expertise in Molecular Adsorbent Recirculating System, and wrote MARS procedures for the 2017 American Association of Critical-Care Nurse’s manual. She co-created a pressure ulcer prevention program and co-authored a paper leading to national dissemination of this protocol. She also served the public and the profession through efforts to combat post-ICU syndrome, and through protocol development related to sepsis, CRRT, MARS, and pressure ulcers. In particular, her work developing post-ICU syndrome education, research, and support groups has advanced evidence-based policies that support patient and family engagement in health care and care decisions. Still has also trained colleagues as primary clinicians for MARS-related protocols. Xiao built a multidisciplinary research program on cancer-related fatigue and its biological mechanisms, symptom clusters, and patient-reported outcomes that has contributed significantly to knowledge in these areas on a national and international scale. She has generated new knowledge in cancer-related fatigue and its inflammatory mechanisms to advance personalized symptom managements. 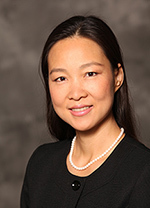 Xiao provided scientific evidence regarding symptom clusters/toxicities for National Institute of Nursing Research program announcements and practice guidelines for adults with cancer-related fatigue. She has also helped address the importance of measuring patient-reported outcomes, such as fatigue and quality of life. Her contributions to advancing the awareness and understanding these areas support her goals to improve the health of populations and achieve health equity, and influence practice design through nursing science to improve the health of populations.